Our office provides safer low radiation scans, with the latest advances in X-ray imaging technology. 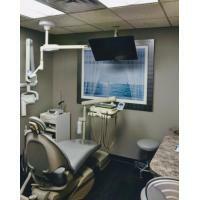 The Green CT-3D Dental Imaging provides clinically diagnosable X-ray scans at a low X-ray dose. The FDA has cleared Green CT for use on children. 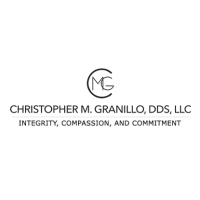 Christopher M. Granillo, DDS, LLC provides a full range of general and cosmetic dentistry services for families and individuals, as well as education and information on oral hygiene and preventive care. 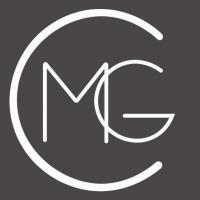 Dr. Christopher M. Granillo graduated from the University of Iowa College of Dentistry in 2004 in Iowa City, IA. He is native Tucsonan, Hispanic, bilingual and bicultural. In 2004, he began his career at Dental Net, Inc., now known as Associated Dental and worked there through 2006. In March 2007, he joined the El Rio Community Health Center Dental Team where he served 5 years as the only Hispanic Tucsonan General Dentist in a highly populated Hispanic Service Community. His clinical experiences have provided him with a solid, comprehensive and well-rounded approach to addressing complicated dental treatment to a diverse mixed-aged population. During his years of service with the El Rio Health Center Dental Clinic, he also served as adjunct satellite faculty for the A.T. Still University Arizona School of Dentistry & Oral Health. He mentored and taught approximately 25 dental residents and dental students. He volunteers his time at several community-centered events including “Operation Hope Fest”, which has received national recognition for providing the highest quality of free dental services to low-income and underserved families. 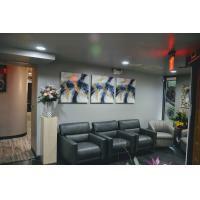 In April of 2012, Dr. Christopher M. Granillo acquired the practice of Dr. Lawrence Cohen located at 2300 N. Craycroft Rd., Suite 2 in Tucson, AZ. In April of 2017, Dr. Christopher M. Granillo expanded and moved into his new suite, Suite #6 located in the same complex at 2300 N. Craycroft Rd. 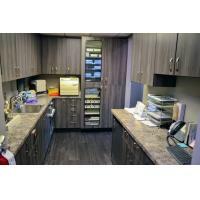 To provide the finest personalized dental care by maintaining trust and friendly patient service, treating our patients with dignity and respect, educating our patients, and upholding top-notch clinical skills. Providing comprehensive, high-quality dental healthcare for the whole family.